Julie took her Jeep to Pajarito Mesa ofr a ride on the mud. I did get some good shots using the HDR technique. 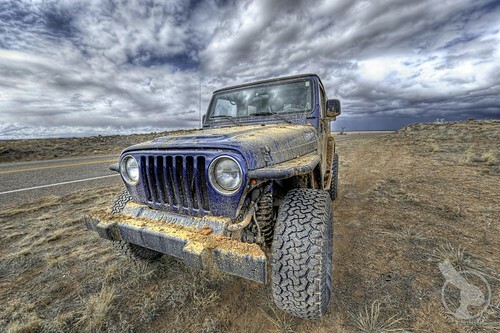 Here is her Jeep full of mud. 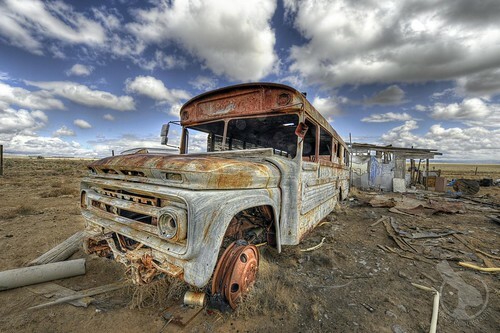 And here is an abandoned bus in the middle of the desert. I always like to shoot things like this, especially when I get some nice clouds.